(Aug 2017) Maybe a record of someone’s private thoughts is worthless anywhere. Certainly in jail — contraband is worth more. But I wondered if it was especially worthless in the Delta, where a calm place to read was hard to come by; where there wasn’t a bookstore for a hundred miles and families couldn’t afford a book, anyhow; and where a teacher once burst into my classroom to scold me for having the kids write about the death of a classmate, not wanting them to feel sympathy for him. Michelle Kuo has gifted to this world such an extraordinary testimony — both hers and Patrick Browning’s. It’s a beautiful literary work that is full of thought and introspection. It is a meditation on the great questions of the human experience and how books and writing and poetry impact how we see our world. All that beauty is wrapped around the gritty reality of rural poverty, racism, history denied, mass incarceration, failed education policies, despair, addiction and violence. And yet – there is also faith, family, resilience and love. This story of how a daughter of Taiwanese immigrant parents, born and raised in Michigan and educated at Harvard, ended up in the Mississippi Delta teaching at an alternative school, has more plot twists than you can imagine. Only this is no work of fiction. It’s an extraordinary personal journey. I feel inadequate to the task of reviewing this book. There is not a “genre” for this kind of non-fiction literature. It weaves the well researched history of racism and poverty in rural Helena, Arkansas, together with the writings of Leo Tolstoy, C.S. Lewis, James Baldwin, Frederick Douglass and the poetry of Yeats, Tennyson, Whitman and Emily Dickinson. Ms. Kuo and Patrick explore Haiku together day after day in a jail visitors room. She has him write letters – to his daughter and to the man he killed. Those things may seem to be incongruous on their face, but it’s about the transformative power of words, ideas and the experience of those before us to help us see who we are. “Bad conditions could impel one to leave, but they could also sap one’s strength to go.” I found so much in these pages that resonated. 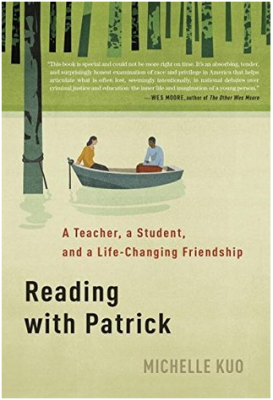 I felt the struggle of the place, of the people, and the determination of this teacher to help Patrick to find in himself the things he could not see. I highly recommend this book to every reader as it a story deeply rooted in the power of education to change lives. Dec. 21, 2011 – I loved this book! I heard Tom Peters speak in Georgetown just after this book was published. I admit I’m a fan of his from the In Search of Excellence days. I like the format of the book – short chapters, memorable nuggets of information, lots of stories, amazing-random-fascinating information. LOVED his chapter on the women’s suffrage movement! This book is so infused with every aspect of Tom Peter’s personality. There are many who many not like the bold type, exclamation points and repetitiveness – but I think it’s a great book and worth the investment to read it. June 2, 2011 – A fascinating book. A non-fiction account of a woman whose cells have furthered science and medicine more than any other single factor in the last 60 years. Journalist/author Rebecca Skloot spent over a decade researching the case of Henrietta Lacks, who entered Johns Hopkins hospital in 1951 where she was diagnosed with malignant cervical cancer. The cells from her tumor are the first “immortal” cells to continue to live in culture medium and have been used around the world for decades in breakthrough medical milestones like the polio vaccine. This story is a total page-turner. The author made it her life’s work to track down the remaining family and to tell the story of the woman responsible for HeLa cells and what became of her family. (Google HeLa cells – amazing!) I highly recommend this book! May 23, 2011 – What a wonderful book! I love Eugene Robinson’s columns in the Washington Post and I have heard him speak in person. He’s a remarkable man who brings a lifetime of thought and experience to a subject few people talk about openly. 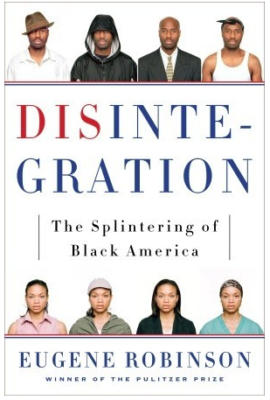 I was truly fascinated by his segmentation of Black America into 4 distinct categories: the Transcendent, the Mainstream, the Emergent, and the Abandoned. His research is well done, the writing is engaging and his stories are memorable. For those living in the Washington, DC, area, his descriptions of the history and culture of the various neighborhood will bring a new perspective on how the city has evolved in the last 40 years. I would highly recommend to anyone. It serves to enrich our understanding of our fellow Americans in a way they didn’t teach us in school. Feb. 7, 2011 – “Bill Moyers interviewed author Joseph Campbell in 1988 shortly before his death and these were originally aired on TV. I downloaded this series of interviews from Audible.com and enjoyed listening to them on my iPod. I was familiar with Campbell’s iconic and often referenced book “A Hero of a Thousand Faces” and this is every bit as wonderful. Very inspiring. His mantra is “follow your bliss.” He certainly followed his from the time he was a young boy until his death. He is the authority on the history of myth. I highly recommend it. Jan. 29, 2011 – This is an excellent Blackstone audiobook recorded in 2008. The print edition would be nearly impossible to find I think since it was originally published in 1951. Author William Raymond Manchester did his master’s thesis on HL Mencken in 1947 with the cooperation and support of his subject. Mencken arranged for him to get a position at The Baltimore Sun, where he himself had spent much of his career. Henry Louis Mencken is probably not remembered by many of this generation. Known as the “Sage of Baltimore”, he is regarded as one of the most influential American writers and prose stylists of the first half of the 20th century. He was also a vocal critic of the American political system and prone to outrageous opinions on almost every subject. Manchester spent a great deal of time with Mencken at the end of his life after he suffered a debilitating stroke that left him unable to read, write or articulate his thoughts. The author’s affection for Mencken and his close personal relationship with him give this biography a dimension that is likely unmatched in other biographical treatments of Mencken’s life and works. I’ve always had a fondness for Mencken quotes and I loved learning more about his life through this very engaging and enjoyable biography! 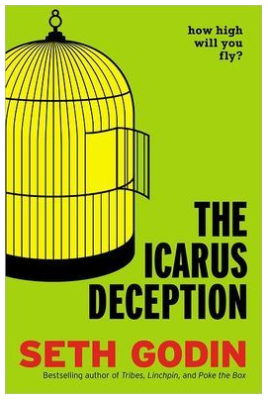 Jan. 10, 2011 – Fantastic book by Clay Shirky who also wrote Here Comes Everybody. “Cognitive surplus” refers to the number of hours of leisure time we have collectively as a society. Post WWII, we spent our time watching television – passive consumers of media someone else created. Young people are now growing up in an environment that is highly connected and engaged and they both consume and create the media. Early on Shirky posits “Media is the connective tissue of society.” Then he lays out examples and research that support his viewpoint. One that stuck with me was understanding that people in different generations labeled “Boomer,” “X” & “Y” are not fundamentally different types of human beings. People essentially are driven by similar things, what makes the difference is means and motivation. We grew up in different environments and our experiences drive our viewpoints on many things – including social media, technology and privacy. I highly recommend this book. Shirky does a good job at shifting paradigms to show us a new way of looking at the role of social media – all media – in where we are and where we’re going.